Pictured: Tata Motors in Ipswich is located at 34 Brisbane Road Ebbw Vale. Bremer Ford, a division of the Q Automotive Group has recently been appointed as a Tata Motors dealer to serve Ipswich and surrounding areas. Their site at 34 Brisbane Road Ebbw Vale is one of three (including Springwood and Emerald) where the group now represents Tata Motors. Dealer Principal, Wayne Bennett, has over 15 years experience in the automotive industry with an enviable reputation for providing excellent customer service. 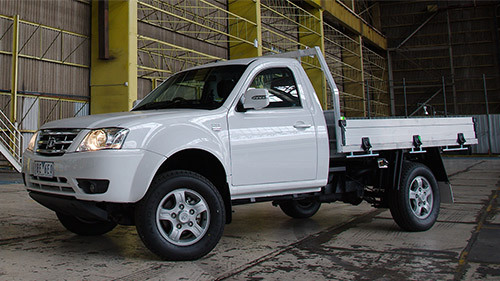 The Tata Motors in Ipswich site has the full range of Tata Xenon’s, including the Cab Chassis, Single Cab Pick-up and Dual Cab Pick-up models, which are available with a choice of 4x2 or 4x4 drivelines. The Tata Xenon is priced from just $19,990 and is powered by a fuel efficient, powerful four-cylinder turbo diesel. With a payload of up to 1080kgs and a towing capacity of 2500kgs; the Xenon is fast becoming a favourite with tradies and commercial businesses. Inside, the Xenon features cloth trim, air conditioning, Bluetooth, power windows, USB input with iPod connectivity, captain chair style armrests on the front seats, and remote central locking with immobiliser. Dual cab models also have satellite navigation and a reversing camera as standard. It was also recently announced that all MY15 the class leading ownership program - Tata Motors Tough Cover. The program delivers lower operating costs and peace of mind to Xenon owners. All dual cab models now have a four-star ANCAP safety rating. Tata Motors Tough Cover includes Four Years / 100,000km Factory Warranty, Four Years / 60,000km Capped Price Servicing and Four Years Roadside Assistance. Wayne Bennett and his team are generous supporters Ipswich Jets rugby league football club that take their name from nearby RAAF Base Amberley. 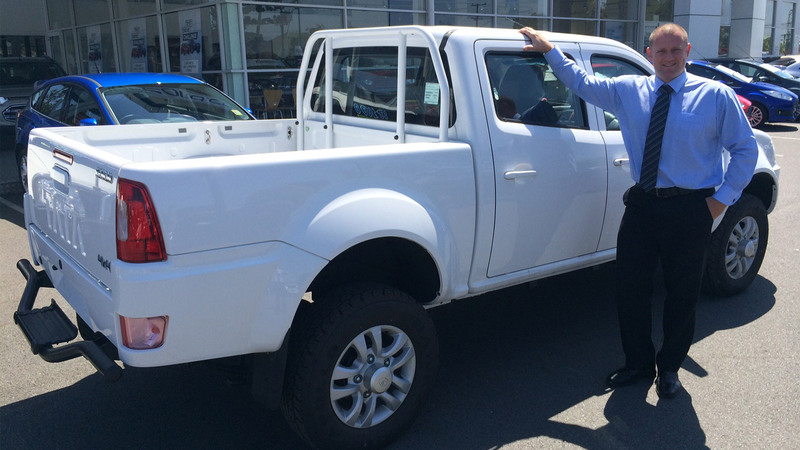 When asked why he had invested in the Tata Motors franchise, Wayne said, “It was a great opportunity to sell and showcase a quality and affordable Ute range”. Fusion Automotive Managing Director, Mr. Darren Bowler said - “We are delighted to welcome the Wayne and his team to the Tata Motors family. They are a tremendous asset to our expanding dealer network, and I know customers in Ipswich and surrounds will benefit from the highest levels of customer service and satisfaction from the team at Tata Motors in Ipswich”.